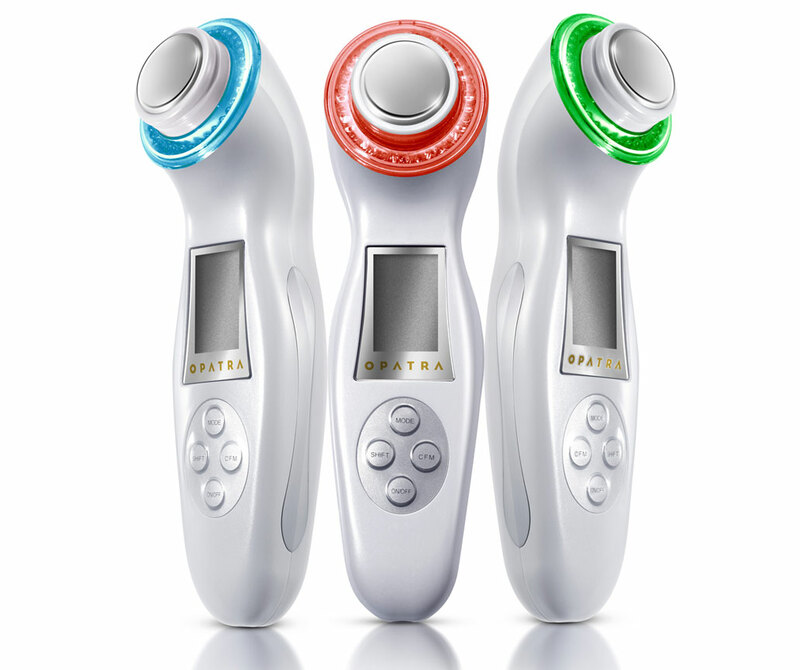 OPATRA DERMISONIC, is a revolutionary anti-ageing and skin-repairing device that combines four scientifically-proven treatments - galvanic technology, ultrasound stimulation, LED light therapy, and vibrating massage. Together these treatments work to rejuvenate skin by smoothing out facial wrinkles, tightening facial muscles, boosting blood circulation, and stimulating new skin cell production with one powerful, hand-held tool. The combined effects of DERMISONIC, with the application of facial creams, are so dramatic that it’s been called a non-surgical face-lift. DERMISONIC also helps to clear up acne-prone skin. This unique and powerful technology helps to promote cell renewal and repair and is formulated to target key skincare concerns. To achieve the best results, the DERMISONIC device should be used in conjunction with Opatra’s complete anti-ageing skincare range. FOR BEST RESULTS: Use DERMISONIC only once a day, 3 times a week – 10 to 15 minutes for single use. We recommend using at night time. What is your Dermisonic Colour? 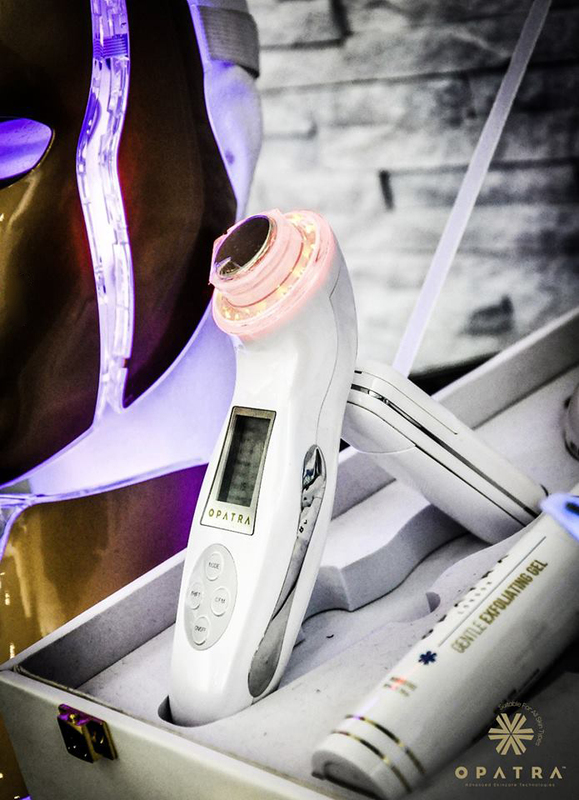 RED LED light stimulates the fibroblasts that produce collagen, which in turn can help the skin’s youthful appearance. With the application of our anti-ageing creams or serums, the red light helps penetrate the product into deeper layers of the skin, whilst also helping improve blood circulation, expression lines and regenerating cell connection. Blue LED light targets bacterial sources, which resides underneath the skin’s surface and contributes to the causes of acne. The light assists in the development of oxygen radicals, which help destroy bacteria, without causing harm to healthy skin. Green LED light improves cell and oxygen utilisation. It helps with skin soothing, balance and stabilisation and can dredge lymph and remove oedema and swelling effectively. •	Fade scars, freckles, age spots and reduces facial redness. Adding Opatra Dermisonic into daily skincare routines helps eliminate fine lines and wrinkles, while providing deep cleansing and moisturising to promote blood circulation and overall skin health. You won't need to go for regular facials and treatments when you opt for the Dermisonic solution. This portable device is easy to carry and operate and suits any skin type, giving you the radiance and confidence to face the world any time, any day. Regular use of Dermisonic will cleanse toxins, increase cell metabolism and enhance the performance of any skincare products.